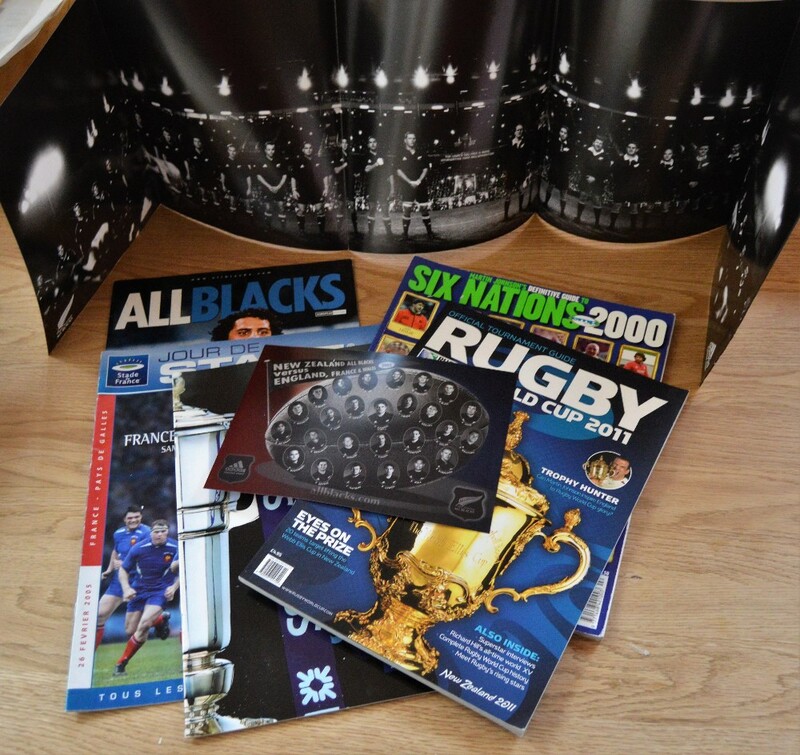 Brochures and All Blacks Rugby Memorabilia etc (9): Large long All Black legends player collage photoshopping different vintages of NZ stars into a team line up; light-hearted All Blacks 1997 squad photo; 1996 sheet of printed squad autographs for S African Tour; 2002 NZ squad portraits for UK/France Tour on a rugby ball background in the style of a well-known early 1900s card; Official All Blacks magazine of that 2002 Tour, A4 size; Guides to the Six Nations 2000 & 2006 and the Official RWC 2011 Tournament Guide; and Jour de Stade, the Matchday magazine of the French National Stadium ahead of France v Wales 2005. 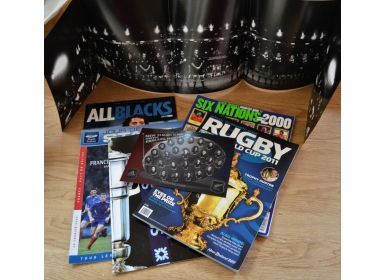 Some great info and images here. G/VG.